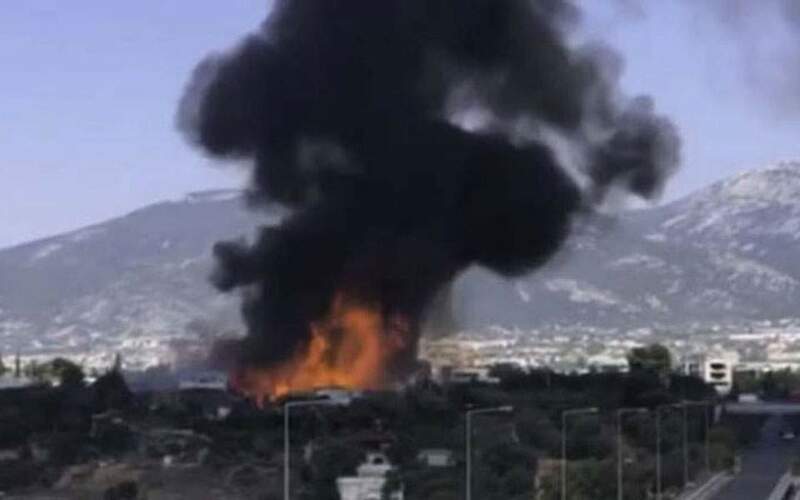 About 20 firemen assisted by eight fire engines and one water-dropping helicopter were on Thursday trying to contain a blaze that broke out in the yard of a factory in Menidi, northwestern Athens. The fire, which was burning piles of wood pallets and brush, released a thick cloud of smoke that rose dozens of meters above the factory and was visible in many parts of Athens. There were no reports of injuries. It was not known what started the blaze.